This was my first year as a participating voter in The Grooveyard‘s Summer Song Survey. “The Grooveyard” is a weekly show hosted by D.J. Alan Seltzer on WCWP 88.1 FM, a public radio station based in Brookville, NY. I was super excited to see that they were having a survey where listeners can pick their favorite songs out of 50. You could pick up to 10 songs and vote daily between the end of May and June 16th. Then the songs would be count down in the order in which the listeners voted. #28 “Mr. Lee” by The Bobbettes. I guess I like this song because it’s so fun and squeaky. It’s probably the only song from the entire era sung by a female that I like. Does that mean there’s a special place in Hell for me? Yeah, I don’t care. #26 “Personality” by Lloyd Price. I voted for this one for the stupidest reason ever. When I was a kid, my best friend and I made up funny words to this song. Like instead of “Walk (Personality)”, “Talk (Personality)” etc… we changed the words to “Burp”, “Fart”… etc… Welcome to Generation X: Land’s End for class and manners. But the point is, that silly memory makes me laugh every single time I hear this song. No matter how many times I hear it, I picture Tiffany and I on the swings at the park singing our version of it. #23 “Poor Little Fool” by Ricky Nelson. This is one of the first “oldies” I remember liking as a little kid. Of course, this song was already 30+ years old when I was a kid, but for some reason I always gravitated towards 50’s music from the very start. I like the melody, I guess? I don’t know, but I definitely think it’s Ricky’s best. #22 “Whispering Bells” by The Del-Vikings. I love this song, it’s so hauntingly romantic! It’s for sure one of my favorites from the whole era. #14 “Dream Lover” by Bobby Darin. When I was 12, this was my favorite song. And when I was 12, groups like Pantera and Primus were at the top of the charts. That might explain why I wasn’t very popular in school, but whatever. #5 “Summertime Blues” by Eddie Cochran. I was hoping this might make #1, but #5 is pretty good. It’s without a doubt, one of the most amazing Rock n Roll summer hits ever! #4 “One Summer Night” by The Danleers. This song is so romantic it hurts, and so am I. #2 “Sea of Love” by Phil Phillips. I’m not sure why I like this song. It’s romantic, but in sort of a naggy-draggy way. I think I’m partial to it because it’s on the first 50’s compilation CD that I bought from “The Ultimate Rock & Roll Collection”. For the Top 10, I brought my computer to the dinner table because I was having dinner with my family that night and I didn’t want to miss the end of the show. Fortunately, the other members of my family enjoyed the show as well, especially the song that ended up as Number One: “Palisades Park” by Freddy Cannon. I have to admit I’ve never heard of Freddy Cannon until now. I like the song though, it sounds like it’s from the opening scene of an episode of “Happy Days”. So yay! That was fun. 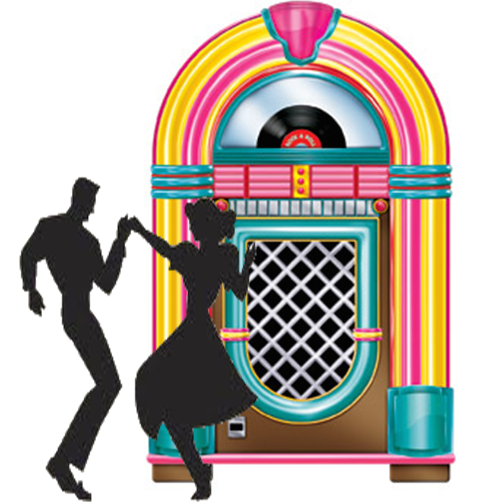 Thanks to Alan Seltzer and WCWP’s “The Grooveyard” where Oldies come alive every Saturday Night at 7pm ET. You can see the results of the whole 2018 Summer Song Survey on their blog HERE which includes video clips from all 50 songs. I’m already speculating on what next Summer’s Survey will be! Next postKeeping the 50’s Alive: TV Shows Set in the 50’s!